A bus driver must have a CDL if he/she drives a vehicle designed to seat 16 or more persons, including the driver. A bus driver must have a Passenger Endorsement on his/her CDL. To obtain the endorsement, you must pass a knowledge test on Sections 2 and 4 of this manual (if the bus has air brakes, you also must pass a knowledge test on Section 5). You also must pass the skills tests required for the class of vehicle you drive. Before driving your bus, make sure it is safe. During the pre-trip inspection , check defects reported by previous drivers. Only if defects reported earlier have been repaired should you sign the previous driverʼs report. This is your certification that the defects reported earlier have been repaired. Service brakes, including air hose couplings (if your bus has a trailer or semitrailer). Tires (front wheels must not have recapped or regrooved tires). As you check the outside of the bus, close any open emergency exits. Also, close any open access panels (for baggage, restroom service, engine, etc.) before driving. Signaling devices, including the restroom emergency buzzer, if the bus has a restroom. The seats must be safe for riders. All seats must be securely fastened to the bus. Never drive with an open emergency exit door or window. The Emergency Exit sign on an emergency door must be clearly visible. If there is a red emergency door light, it must work. Turn it on at night or any other time you use your outside lights. You may lock some emergency roof hatches in a partly open position for fresh air. Do not leave them open as a regular practice. Keep in mind the busʼs higher clearance while driving with them open. Make sure your bus has the fire extinguisher and emergency reflectors required by law. The bus must also have spare electrical fuses unless equipped with circuit breakers. The driverʼs seat should have a safety belt. Always use it for safety. This number absolutely must be memorized! It is a very commonly asked question. So remember, a CDL is required for any vehicle designed to carry 16 persons or more, including the driver. While emergency doors and windows must stay closed while driving, the roof hatches may be opened in the need of fresh air. Sometimes there is a question about this on the written exam. Just be sure to remember that opening the roof hatches will raise the height of your vehicle. You need to have that list memorized. Can the front tires on a commercial bus be recapped or regrooved? Whether driving a bus or truck, the same rule applies to all commercial vehicles. Front tires can never be recapped or regrooved even if minimum tread depth is legal. 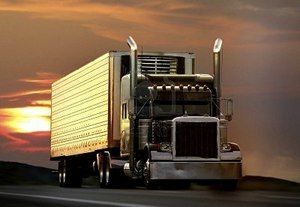 A CDL with a passenger endorsement is required when driving a vehicle designed for how many passengers, including the driver? A bus driver must have a CDL if he/she drives a vehicle designed to seat 16 or more persons, including the driver. A bus driver must have a Passenger Endorsement on his/her CDL. Even if you don't plan on driving passengers or don't plan on obtaining a passenger endorsement, you will still be asked basic questions about passenger transport regulations. Be sure to memorize that 16 passengers, including the driver, requires a CDL with a passenger endorsement. Which statement is true about roof hatches on commercial buses? You may lock some emergency roof hatches in a partly open position for fresh air. You may lock some emergency roof hatches in a partly open position for fresh air. Do not leave them open as a regular practice. Keep in mind the bus's higher clearance while driving with them open. When performing a pre-trip inspection on a bus, what are some interior items that should be checked to ensure rider safety?